Welcome to my hike through life! 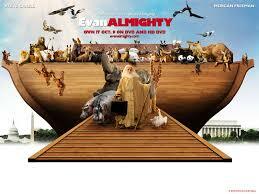 Have you watched Evan Almighty yet? We watched it the other night and laughed our butts off. It is definitely one that you want to see. I know a lot of Christians have turned up their noses about the movie, but give it a break. The message is good. How many movies about bible stories have you seen that are 100% accurate? Let me think, ahhhh none. So grab a cup of coffee sit down and enjoy the movie. Last night my wife Verla and I went to see the movie “The Guardian“. For those of you that haven’t seen it yet, I would recommend it. It’s a movie based on a true story about the life of Ben Randall. His entire career has been to be a swimmer for the Coast Guard. His job passion is to jump in the ocean and save drowning people. His marriage is on the rocks because of his job. He is so dedicated to saving lives that nothing else seems to matter. As I looked at my own life compared to his, I was ashamed. I was thinking that I wanted to go join the Coast Guard and save people like he did. Then it occurred to me that I don’t need to join the coast guard. (Thank God!) I need to remember that I to can save lives, eternal lives. What I seem to lack is the passion. Why is that? Jesus gave us the greatest gift that anyone could give. Why are we afraid to share. We seem to talk the talk in church and amongst our christian friends or circles. But in the world we are scared, we are cowards. Thank God Jesus wasn’t a coward that day on the cross. Forgive us Lord for our cowardliness. Give us strength and courage to stand strong for you. Help us the share your love, and grace with unbelievers. We don’t want to be cowards but warriors for you. Thank you Jesus.